In Dragon Ball, I find that almost every main or supporting character starts off as either (a)a rival to Goku, (b)trying to kill Goku, or (c)an antagonist in general. Androids 17 and 18 (technically cyborgs, but that’s neither here nor there) were no exception, being introduced as potential villains (who, in an alternate timeline, would go on to lay waste to the Planet) before being abruptly assimilated and killed off by the real big bad of the arc, Cell. Eventually, he spat Android 18 out and was killed by Gohan, and everyone killed by Cell and the Androids were brought back to life by the titular Dragon Balls. #18 would later fall in love with and marry Kuririn (Krillin in the anime); #17, on the other hand, never really showed up again beyond a cameo or two (he had his own arc in the sequel show, Dragon Ball GT, but he spent most of the time brainwashed and fuelling the body of his evil clone). ...until now. After all these years out of the spotlight, Android 17 makes his return within the pages of Dragon Ball Super! 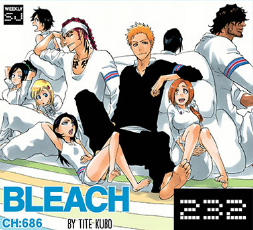 Full pages from Chapter 31 are posted below, as the full series (barring Chapters 2-15) are available for free on viz.com. 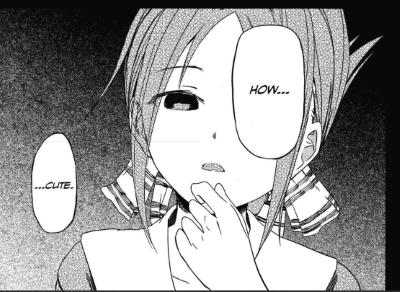 Remember to read from right to left. If you enjoy what you see here, please support the official release. DRAGON BALL SUPER: Introducing... The Man Named Jiren!!! While certainly not without flaws, I’ve been rather enjoying Dragon Ball Super* so far. I think part of that generally is the cosmic scope of things. From parallel timelines and other Universes to squaring off with and against literal deities, there’s been lots of cool new stories, characters and designs to see and grow attached to. In preparation for the hiatus/end of Super (as well as to cope with Dragon Ball Z Abridged possibly finishing up, too), I’d like to spotlight some moments from the series I particularly liked - in this case, the introduction of some of the contenders for the recent Universal Survival arc. 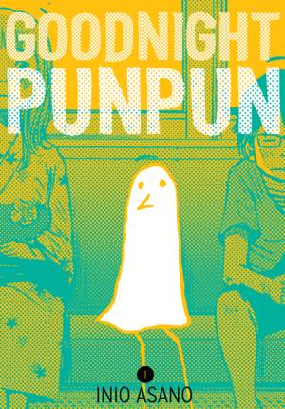 Full pages are posted as the series (barring Chapters 2-15) is available for free on viz.com . Remember to read from right to left. If you enjoy what you see, please support the official release. 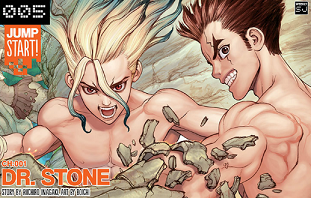 Let's continue on with more of Dr. Stone. 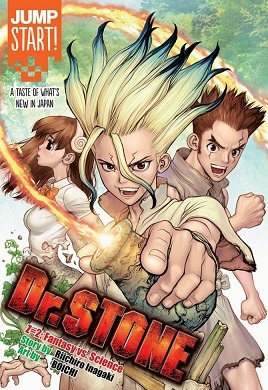 From the writer of Eyeshield 21 and the writer & artist of Sun-Ken Rock, just added to the line up the English edition of Weekly Shonen Jump, we got Dr. Stone. Let's take a look! 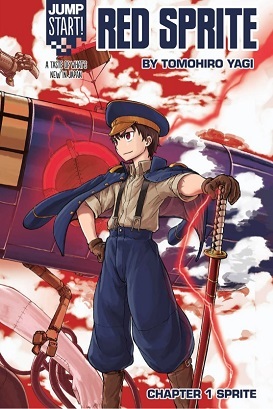 Well this just got picked up by Weekly Shonen Jump to replace Bleach (or possibly Nisekoi). Let's give it a look! 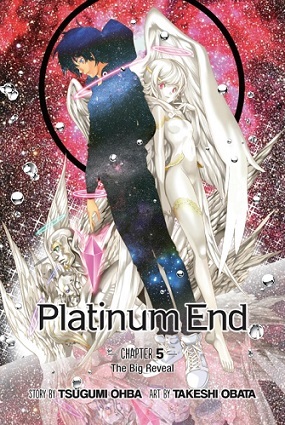 It's weird but... it's time to say goodbye to another big manga series that's been running for years now. Time to say goodbye to Bleach! Here's some key moments from the last two chapters that are work looking at. 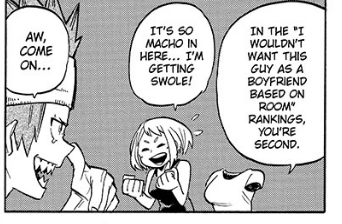 My Hero Academia: Dorm Room Time! 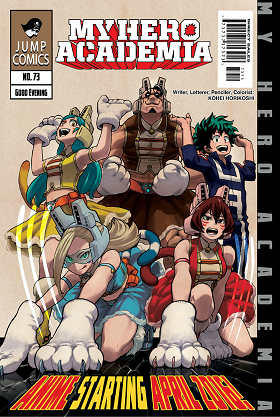 Time for some more My Hero Academia fun! 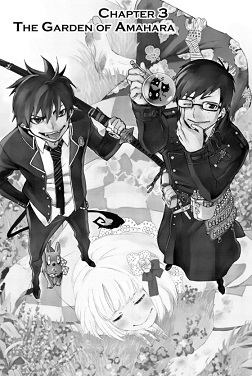 Time for Blue Exorcist people! Hopefully, this helps wash out the taste of my last posts involving All-New X-Men and Leob's Hulk. Light warning for blood and bullying. 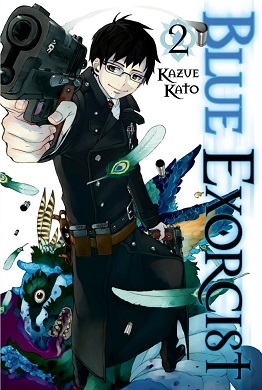 Back to the fun that is Blue Exorcist as we introduce more characters! 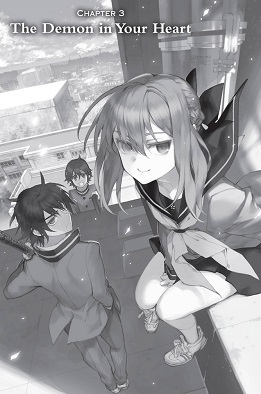 Time for more of Seraph of the End, moving onto the third chapter. Warning for some bullying and some violence. 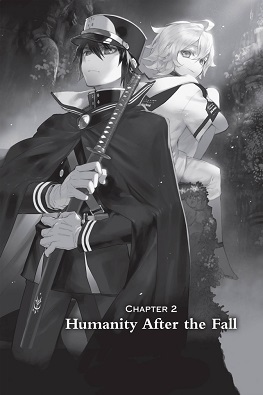 So, let's look at some more of Seraph of the End. 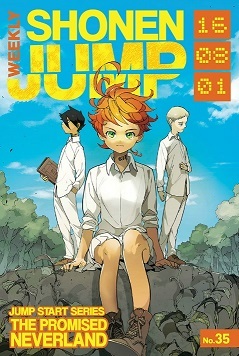 I didn't cover the first chapter on SD (though you can check out the free preview for the series at Viz). 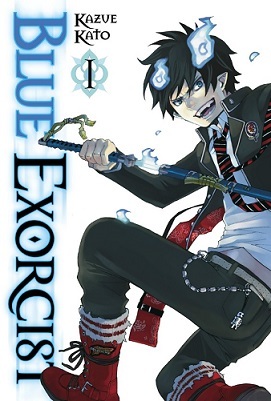 Because Blue Exorcist is too good of a series not to cover, let's look at more of it! Warning for violence and gore... but not in the way you think. My Hero Academia has wrapped up another long arc, so let's take a moment to check out the first half of it. I'll post about the second half later. 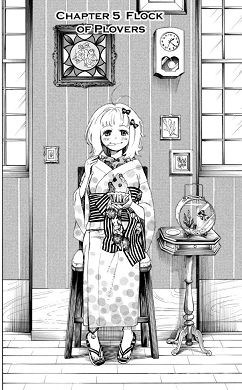 This chapter contains material discussing suicide. Be warned. 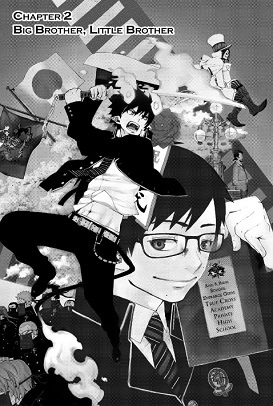 This is a post that's been a long time coming, so I hope you enjoy this look at the first chapter of Blue Exorcist.